With wedding season only a few months away, it’s time to start planning! You’ll be seeing lots of family and friends at this year’s celebratory events. Once the RSVP has been returned, the next question is, “what to wear?” Weddings are a time to show off your good style, while not going overboard to take away from the bride and groom. The season, location, venue, and dress code will help narrow down choices exponentially. Here are five of the most popular wedding types and what men should wear as wedding guests. Whether headed to a tropical destination wedding in Tulum, a Florida Keys resort, or a coastal New England ceremony, beach weddings are one of the most popular choices for brides and grooms. We get it! Warmth, a high percentage of good weather, bright colors, fun dresses, did we mention warmth? While we don’t recommend the short and sandal combo for the groom, beach weddings can offer an opportunity for working in some fun and trendy styles for not only the bridal party but also the guests! For the male guests, we recommend this combination – cream linen suit, festive floral shirt, essential pocket square, stylish loafers with no-show socks. Rustic weddings share a large range of styles, trends, and locations. Typical rustic weddings go for the natural tones and textures. Wood, greenery, outdoor, barns, parks, campgrounds, you name it! While it’s up to the bride and groom to determine their own level of rustic-ness, a guest can easily find some middle ground to show off a little style. We recommend this combination – brown tweed or textured jacket, light gray chambray shirt, mustard yellow necktie, tan trousers, your most stylish brogue boots. The most formal weddings situated on an estate, ballroom, country club, or even a castle can only be met with one style of dress, black tie. The most simple, yet prestigious, of ensembles, the black tie dress code is a cinch for the male guests. Bust out (and dry clean) the tuxedo that’s been hanging in the closet and make sure it’s ready for the big event. A self-tied bow tie is a must for events like this. Google search a quick “how to tie a bow tie”, or just click here. We recommend this combination – black tuxedo, white tuxedo shirt, black self-tied bow tie, white pocket square, black formal shoes. When we hear modern we think industrial spaces, geometric shapes, neon lights, copper tones, hipster vibes, either really bold colors or really minimal. Confused? Check out our Modern Wedding Pinterest board to get a better idea. Modern weddings can often be sleek, shiny, and nontraditional. So what’s a guest to wear? For the male modern wedding guest, a hip look is a must. We recommend this combination – red velvet jacket, white button up shirt (skip the tie), black skinny suit pants, and black loafers. A desert wedding doesn’t only have to take place in a desert, though they often do. 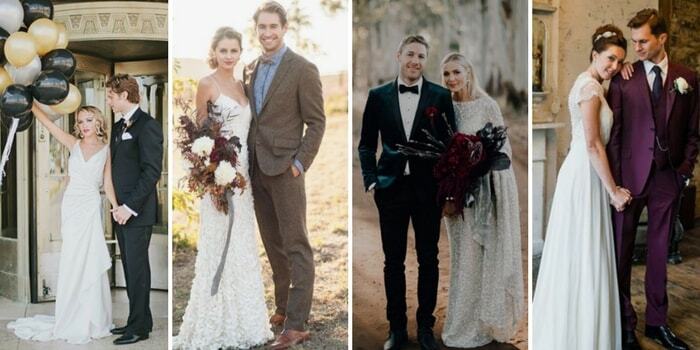 Desert inspired weddings use colors and textures found in the Southwest region of the US. What’s so special about this area? The vast landscape is met with incredible plants, formations, and colors. It’s hard to not be inspired. Whether you’re heading to Joshua Tree or not, a desert wedding theme offers many styling options for the guests. A slightly more casual vibe, some may even deem it boho, a male guest can accessorize in the right ways and keep his look simple. We recommend this combination – light gray chinos, white cotton shirt, suspenders, bolo tie, and brown Chelsea boots. To all the men planning a romantic evening for a special someone this year, we have the ultimate styling tip. Throw out the cheesy and loud red accessories and opt for a smooth and trendy look featuring a soft pink that is almost too good for Valentine’s Day. This subtle pink jacket is just the thing you need to improve your date night style. 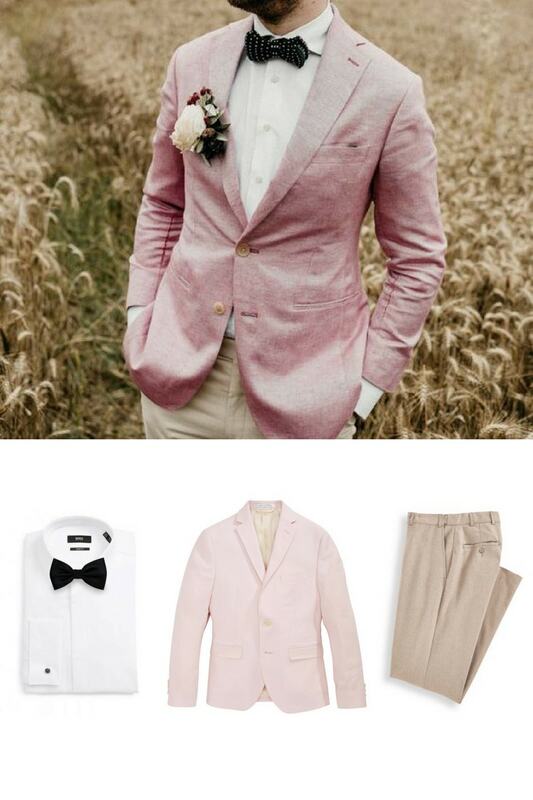 Pair this soft pink with a light tan trouser that will make your dark bow tie stand out! Check out all of our most stylish bow ties here. For more Winter Style Inspiration, check out our Pinterest board! Holiday style doesn’t have to stick with ugly sweaters and oversized red and green attire. 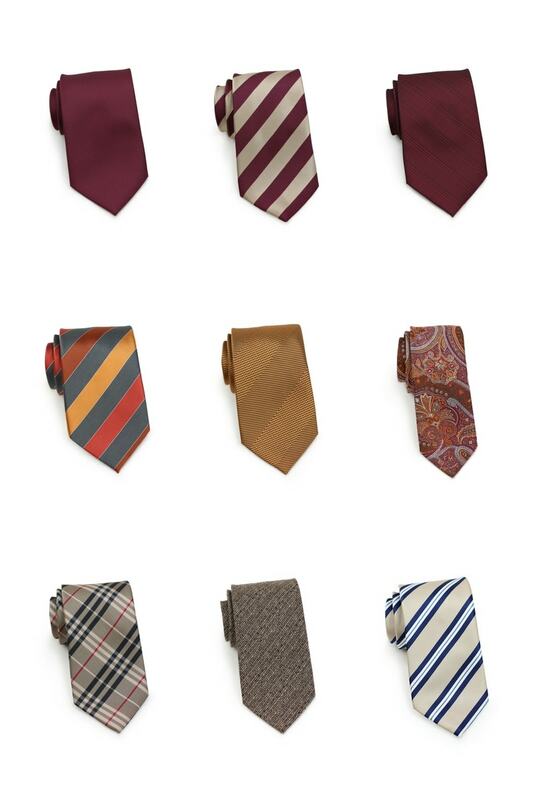 Our collection of Christmas neckties offers style and class. This look is a great way to include a bit of festive holiday spirit without going overboard. A casual denim or chambray shirt will automatically bring your look to a certain level of casual. The weather-appropriate wool blazer in brown is a perfect choice for the winter holiday party. One of the classiest neckties in our holiday collection, this reindeer motif in blue and brown doesn’t initially strike you as a Christmas item. The small reindeer print makes it a great option for just a little bit of holiday cheer. Shop the items above! It’s time to start planning what to get all the stylish men in your life. With the holiday season around the corner, it’s never too early to get ahead of the curve and get gift shopping done. In need of some Christmas ideas? Finding items that are quality, versatile, and lasting will go a long way in the gift-giving world. If your giftee doesn’t get excited about being on the receiving end of clothes, try out a new experience like a monthly subscription service or a deeper look into their ancestry. 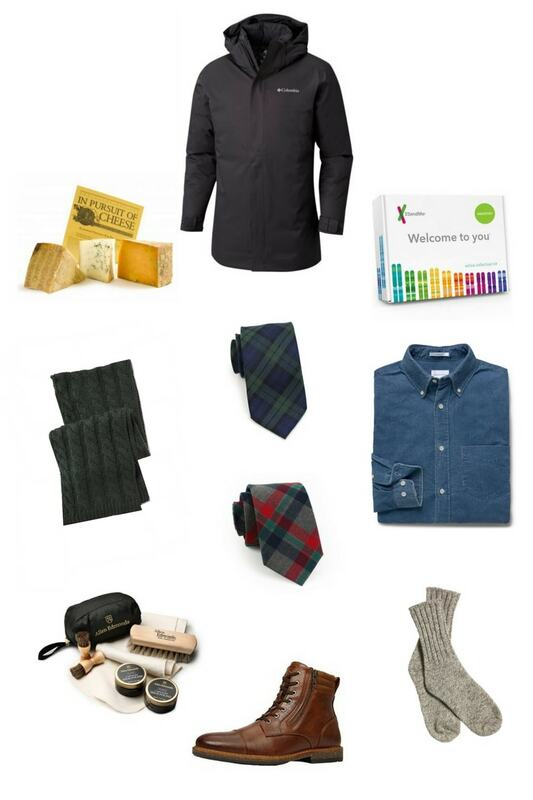 Here is our list of must-have items for men this holiday season. 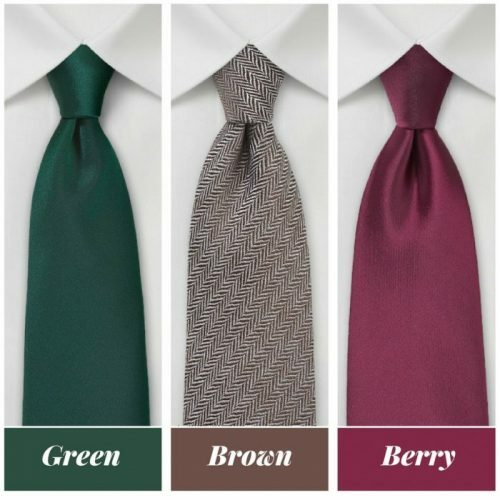 Get ready for your favorite autumn looks with neckties inspired by fall colors. Burgundy, wine red, gold, bronze, orange, tan, and brown. 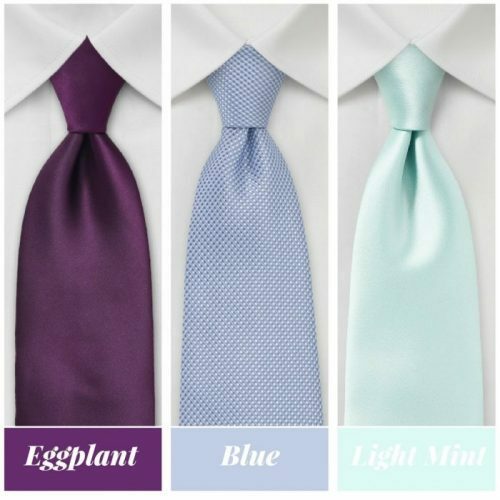 Layer these ties with your favorite fall and winter suits and jackets. 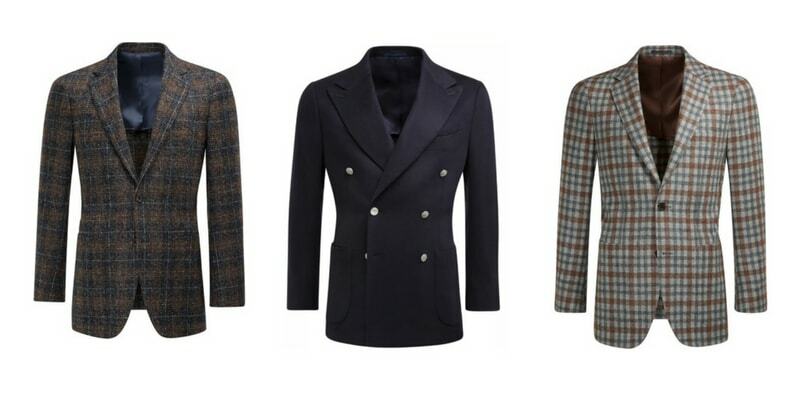 Wool or tweed fabrics make for a textured and distinguished look after a season of light fabrics and colors. 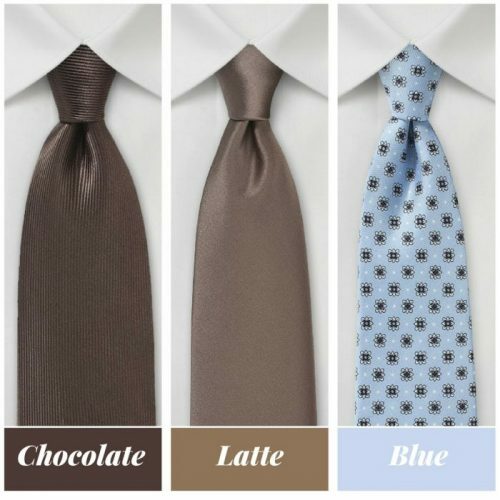 Shop our other burgundy + brown, and blue ties. When fall comes around that means school is close behind. Get prepared and ready for another year of good style. Whether headed to college or final years of high schools, creating a sophisticated wardrobe is a discipline that will help you advance in the years to come. Be sure to incorporate items suited for layering. Long-sleeved shirts and cardigans will be the mainstay and versatile pieces to rotate with your favorite trousers. Choosing pieces that easily mix-and-match will come in handy. A new year calls for new accessories! Grab yourself a study and reliable backpack for all those heavy accounting books. Make sure you get to class on time with a sporty watch. Add in a few new neckties for those formal occasions or that special date out. Rejuvenate a look with a hat, sunglasses, or new shoes. Shop the items below. Fall and winter can create some of the most breathtaking backdrops, scenery, and colors. The drastic change in seasons brings about all new possibilities for wedding theme and color creations. Whether you’re holding an outdoor rustic fall affair or a sleek and modern black tie winter wedding, the palettes chosen can emphasize the desired experience. Some ways to switch up classic looks is to have the groom wear a velvet or dark color suit or tuxedo aside from black or navy. For seasons with such rich colors, a velvet suit can enhance a resonant, moody vibe. Check out the stunning color palettes below that are sure to be trending this fall and winter in weddings. There’s no need to over clutter a look when the basics will bring enough styling power on their own. 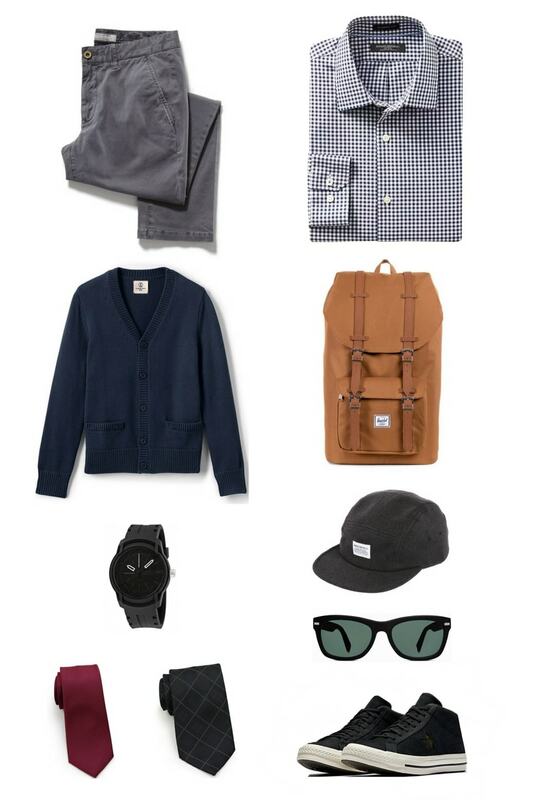 This minimal look leans heavily into menswear staples that feature a classic style with ease. When choosing a minimal outfit, be sure to choose a standout item! 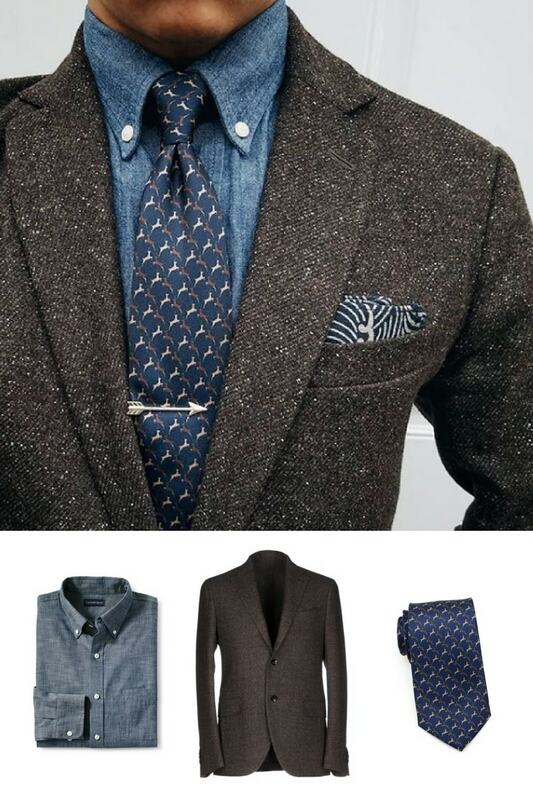 The floral tie pops on this palette of solids. 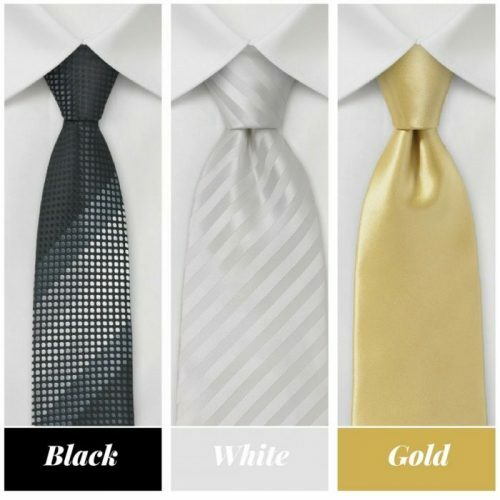 The key to winning the best look in the office doesn’t have to be complicated. Keep your looks simple and clean carried by a confidence that will only add to your styling prowess. 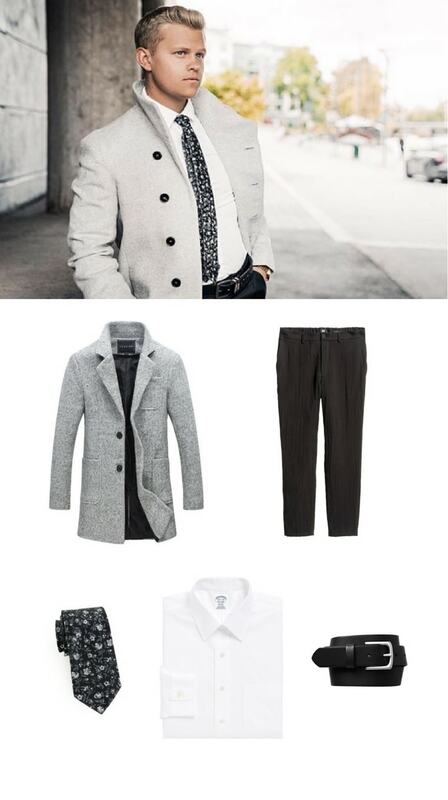 The black and gray pairing will never go out of fashion and will always make a wearer look smart. Shop the items below. We created a Winter Professional Pyramid for those interested in slimming down their wardrobe with only the essentials based on the capsule wardrobe idea. Before that, we put together a Summer Prep Pyramid. 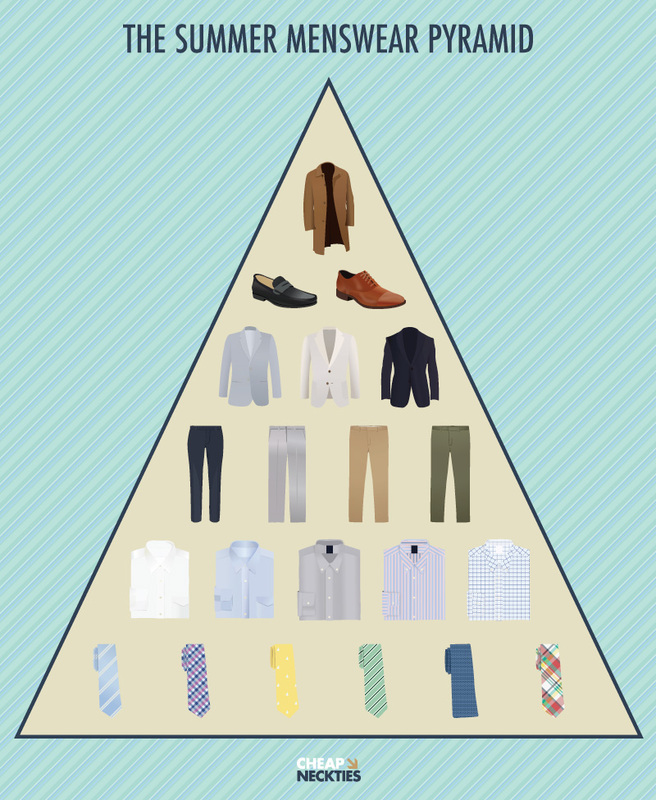 Now we’re here to offer a Summer Professional Pyramid for the working man who still wants to utilize mixing and matching with wardrobe staples. We often forget about outerwear during the summer months due to heat. One thing to never be left without is a quality raincoat. A classic tan raincoat will keep you dry and stylish all season long. For a change from winter shoes, try out lighter colors. Keep brogues and loafers in the rotation. The key to summer blazers is lightweight material. Keep light gray, classic navy, and off-white jackets handy for the office and outdoor festivities. Mix in lighter tones in dress pants like gray while also keeping classic navy handy. 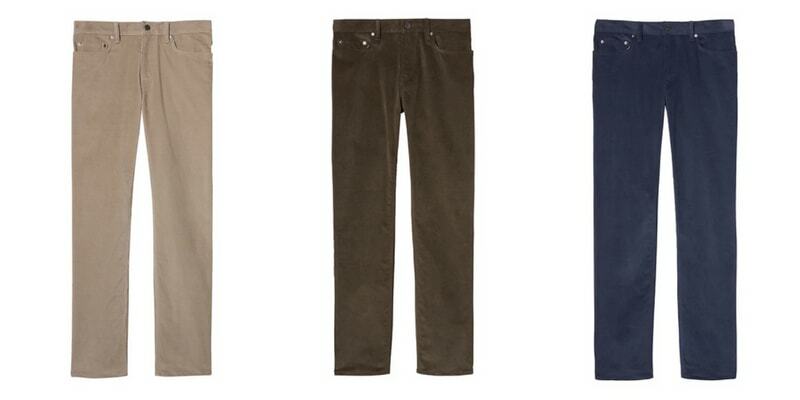 Invest in some chinos in tan and olive. Keep two to three solid dress shirts in your wardrobe while adding a few patterned options. Keep the patterns bright and fun! Summer is the time to try out a new style. Follow our Spring + Summer Style Inspiration Pinterest Board for more!